Dao Thi Khanh Hoa, a member of the SSRC-VASS Vietnam Population Health Study, published her second article on the Study’s research findings: “Factors Affecting the Effective Use of Investments in Commune Health Centers - Lessons from the Case Studies of Selected Commune Health Centers in Thai Nguyen, Khanh Hoa and Vinh Long.” Dao’s research uses qualitative data from the 2008-2014 study of 12 communes, and found that commune health centers (CHCs) that received greater investment worked more effectively on the whole than CHCs that received less investment. However, the data suggests that investments made in CHCs that lack staff with the necessary professional skills and aptitude to perform their work will have more limited results. Investments were effective only when the types of investment were appropriate given the needs and capacity of CHC staff, so that staff could make full use of the investment. Investment was also found to be more effective when it was part of a larger investment process, as opposed to an individual investment. For instance, investments in equipment must also be accompanied by training, practice, monitoring, support and evaluation. Additionally, human resources, the role of the CHC leader and organizational structure are important factors that influence the success and sustainability of an investment. For more information on the Study’s research findings, download Dao’s first article on “User satisfaction of healthcare services at Commune Health Centers” here. 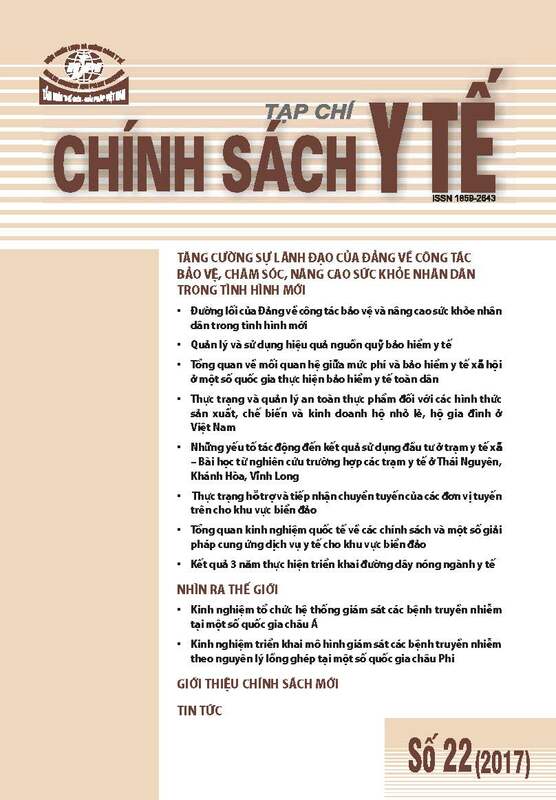 Dao, Hoa Thi Kanh, "Factors Affecting the Effective Use of Investments in Commune Health Centers - Lessons from the Case Studies of Selected Commune Health Centers in Thai Nguyen, Khanh Hoa and Vinh Long," Journal of Health Policy in 22, ed. , 2017, 36-45.